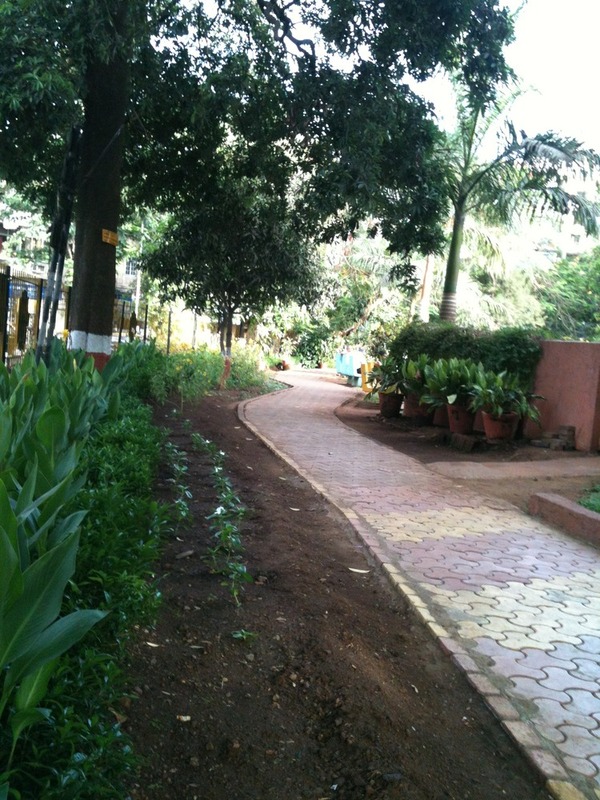 This garden is bang in the center of the Matunga traffic and once you are inside I promise you will forget where you are. 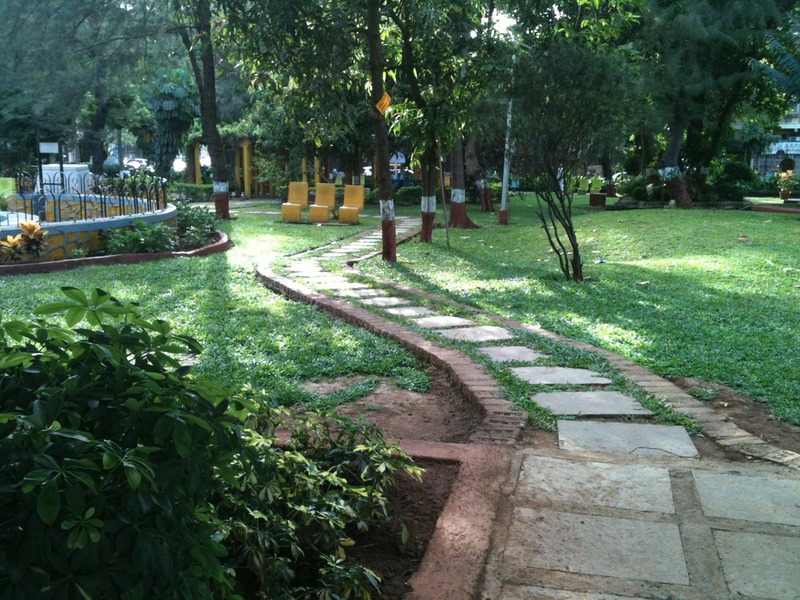 It might be around 1.9 lac sqft and like the name its a perfect circular garden. 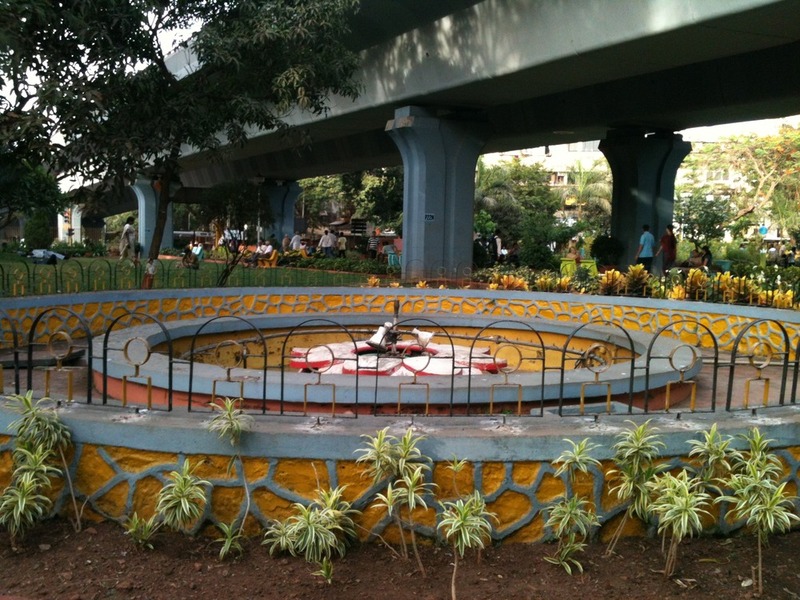 If you are driving come towards Matunga and its on the Dr. Ambedkar Marg, only remember to not take the kings circle flyover because the garden is right under it. If you are taking the train then get down at the kings Circle station and its just a 7-10 min walking from there. There are bus stops on either sides so it is easy to get to the place via bus also. Along the periphery of the garden there are trees and dense foliage which acts as a perfect barrier for visual as well as sound. There are benches placed intermittently for walkers to take a break and catch some breath. The whole place is covered in plush green cover, even in this weather. One quadrant has the nicely laid out kids play area. 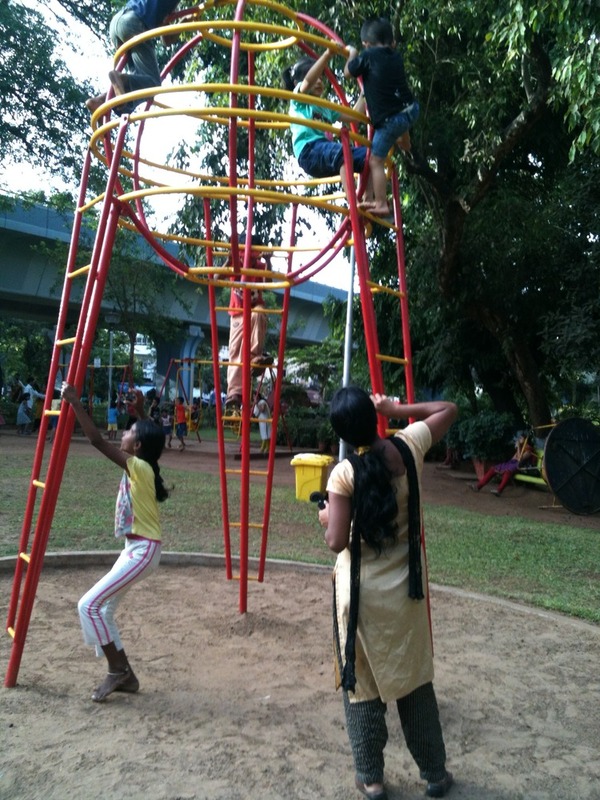 There are see-saws, swings, slides, jungle gyms, monkey bars and a toddler merry go round. 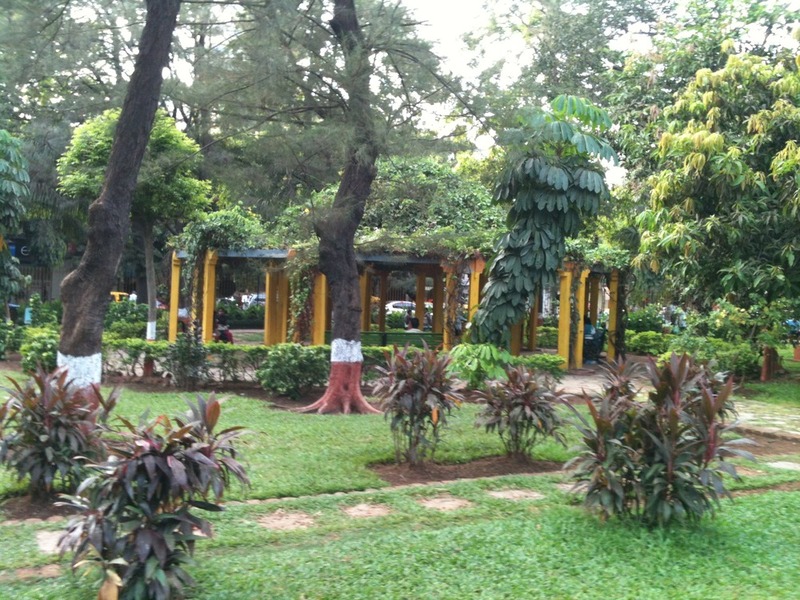 There’s a gazebo on the side where you can find mothers chit-chating while they keep an eye on their kids. 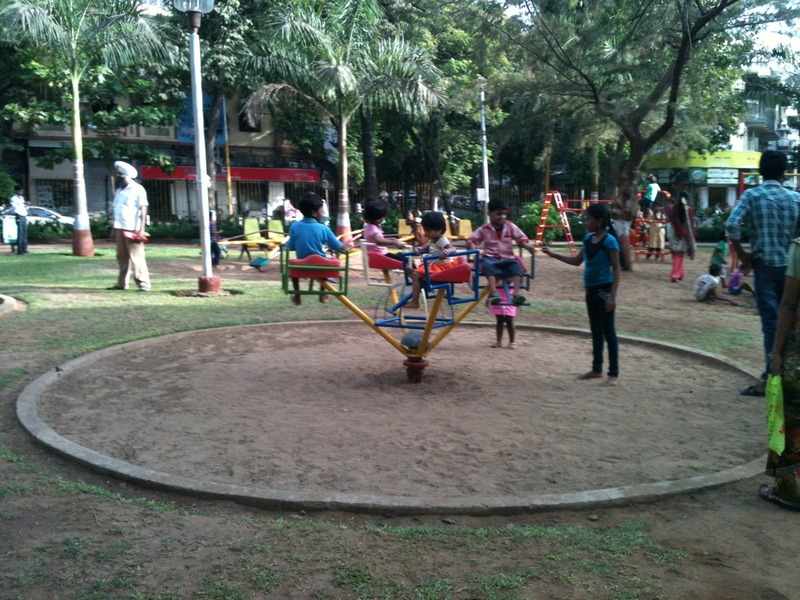 The other quandrant has open green area for kids to play and has a central island with lots of petunias, rat-ranis and sunflowers all blooming with wonderful colours. This I’ve observed changes as per the flowering seasons. The other half of the garden has just green open space with a gazebo and a big water fountain, which is hardly seen in operating condition. Every once in a while you can see students groups studying. 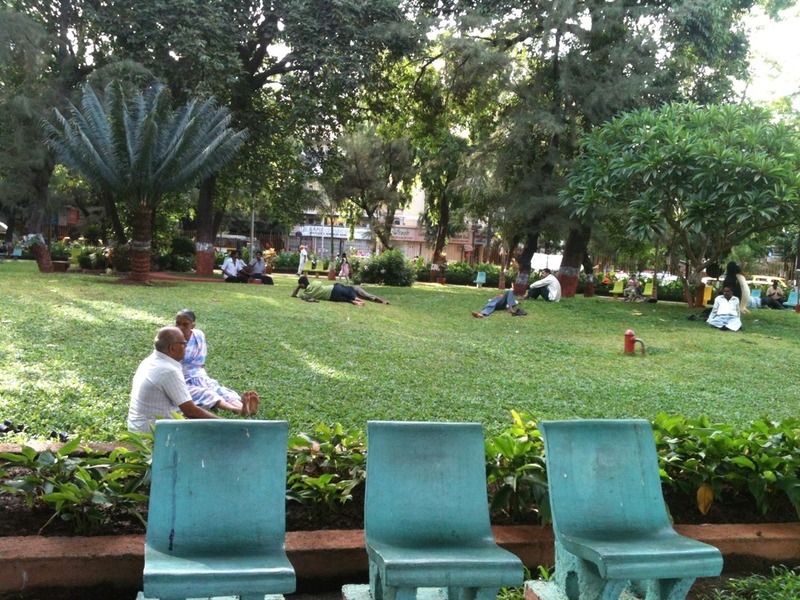 You can also find people lying under the wide trees to catch up on their sleep. Elderly people seat on the benches and catch up on their gossips. Occasional bhel and kulfi walas come to spice up the evening times too. You would always find a kid or two throwing tantrums on the way out. 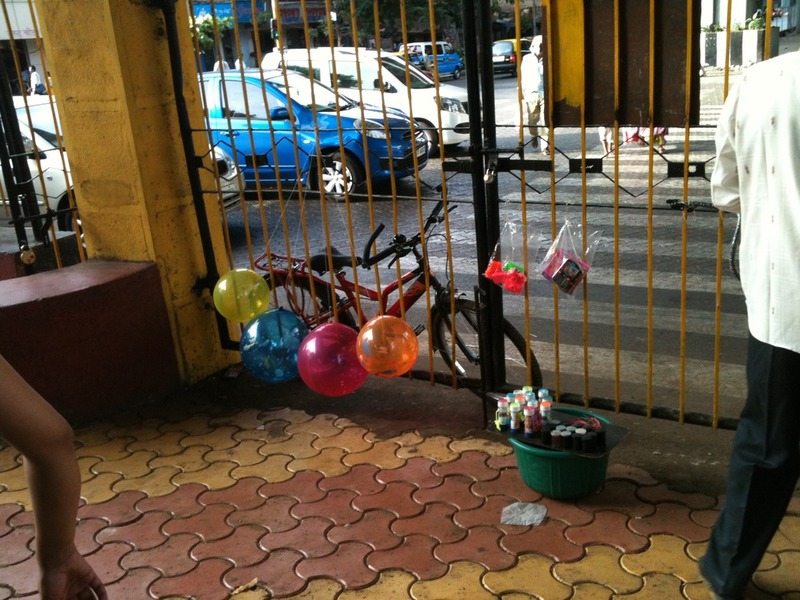 The colourful balloons are to be blamed hanging temptfully out at the exit. 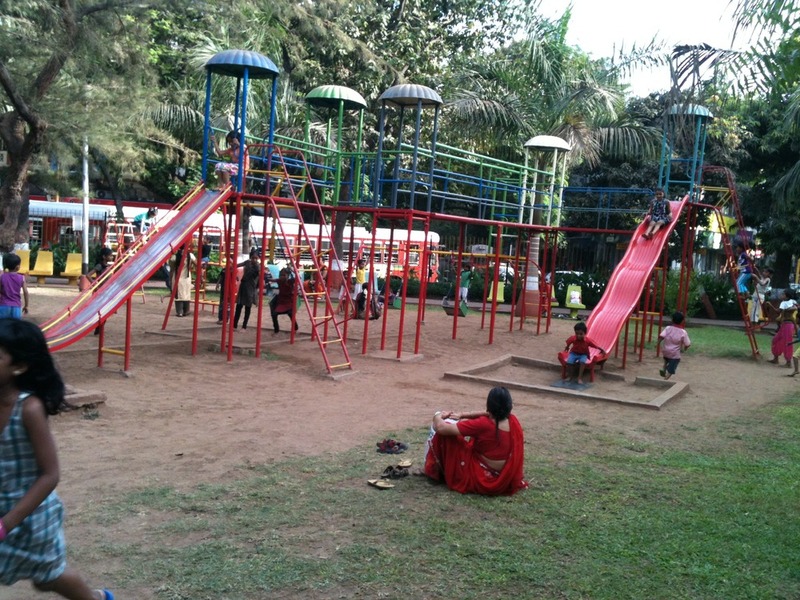 A quintessential green space for an average Mumbaikar. 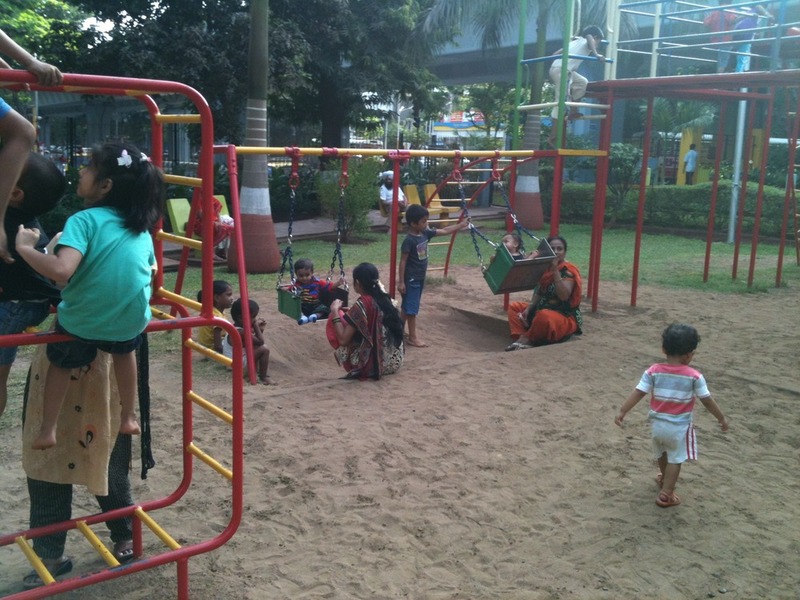 Its a complete garden with space meant for all. 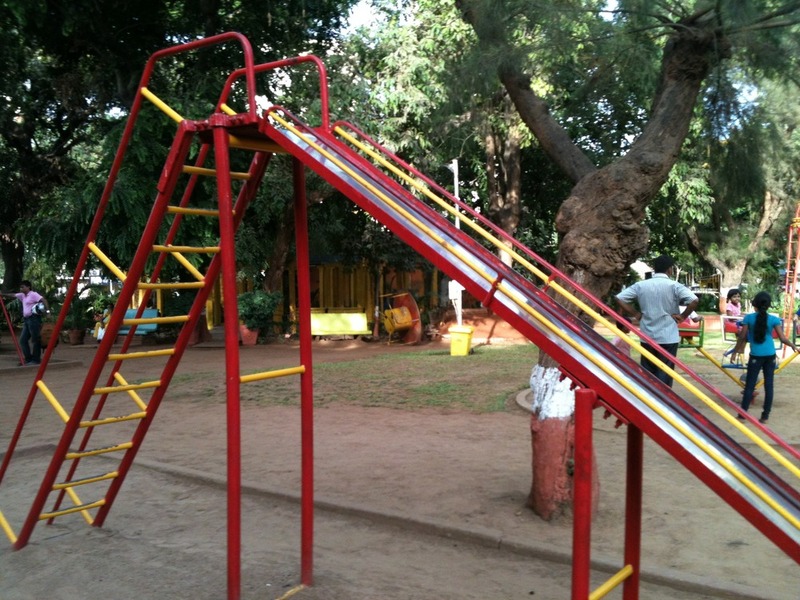 Excellent for kids and there is enough space for elderly. Rajitha, I enjoyed reading your post. Good information. Do check out the CEC conservation center near film city in Goregaon – this one will 100% make you forget you are in a busting metropolis! They recently had a mothers day celebration out there.